Given that a number of our Lutheran readers may resonate more with non-Lutheran commentators than they do with confessional Lutheran authors and speakers, we thought it would be of interest for them to hear a little from a renowned Baptist of the previous generation, regarding the maintenance of doctrinal integrity in the face of liberalism: Dr. Walter R. Martin. Dr. Martin was an expert on the occult, and from the 1960’s onward, disseminated countercultic and apologetic information through his organization, Christian Research Institute (CRI). After his death, he was succeeded as “The Bible Answer Man” and President of CRI by Hank Hanegraaff – a popular commentator who can be heard these days on many, though not all, “Evangelical” radio stations. At least one of Dr. Martin’s works, The Kingdom of the Cults, remains a very valuable resource, one which I consult with semi-regularity as need arises. 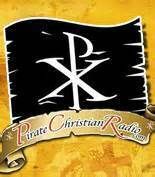 Over the past two years, several of Dr. Martin’s lectures have been featured by Chris Rosebrough on his internet radio show, Fighting for the Faith – a daily program in the lineup of Pirate Christian Radio (PCR). I remember these PCR features, since I am of about the same age as Mr. Rosebrough, and remember Dr. Martin’s voice and manner of teaching from my youth, in a way similar to Rosebrough’s reminiscences. Anyway, lest we Lutherans should fall under the mistaken impression that our struggles are unique to us, I supply links to the following lectures, along with selected quotes, in which Dr. Martin defines liberal theology as “cultic,” and makes it clear what the orthodox Christian’s response ought to be. Others have already gone through what we are approaching – it may be of some use to examine and appreciate their own assessments. “Any person who does not know that today in the United States, and in denominational structures worldwide, we are in an accelerating apostasy, does not know, I repeat, does not know what is going on... There was a time when one could pick a Presbyterian church, a Methodist church, an Episcopal church walking down the street, send somebody into it, and be reasonably sure that he would hear the Gospel of Jesus Christ. Today before you'd send people into most of these churches, you would need a psychiatrist if you opened the door and just said 'Go'... because you would know what you did! “[Liberalism] is a cult because it follows every outlining structure of cultism. It has its own revelation, its own guru's, and its denial, systematically, of all sound systematic Christian theology. It is a cult, because it passes it's leadership on to the next group, that takes over either modifying, expanding or contracting the same heresies, dressing them up in different language, and passing them on. It is theologically corrupt, because it is bibliologically corrupt; it denies the authority of Scripture and ruins its own theology. And, it ends in immorality. “Tonight we are dealing with an extremely complex subject, we are dealing with 'positive confession' and the health and welfare groups, some of which have crossed over from merely Christian forms in their expression of theology, into the area of the Kingdom of the Cults. Ten years ago... I did a paper on the 'Errors of Positive Confession.' I was vilified, rather openly, by a large number of charismatics on the ground that I was being divisive and unloving, and because I was being 'critical of brothers'. The fact is, you can be a brother and be in very serious doctrinal error, and if you have a large ministry and a lot of people watching you on television or listening to you on radio, and if you are not responsive to your peers it is possible for you to lead literally millions of people into false doctrines – not meaning to do so, but being in ignorance yourself. And we are dealing today with doctrines which have progressed from simply ignorance to outright heresy, and finally, to blasphemy. If our Lutheran leaders and laymen won’t listen to fellow Lutherans who quote Scripture and the Confessions, maybe they prefer the testimony of the Baptists? This is the gradual process of feeding you theological poison, until you become immunized enough so that you don't know what is happening to you. And when you wake up to what is happening to you, it's too late. The prophet Micah proclaimed destruction for Judah. But the false prophets taught peace. Micah 3:5 says "Thus saith the LORD concerning the prophets that make my people err, that bite with their teeth, and cry, Peace; and he that putteth not into their mouths, they even prepare war against him." (KJV) Here, "bite" is "נשך" (nashak), often used concerning gnawing or the bite of a serpent. Martin Chemnitz says in Loci Theologici - Locus on Poverty, how this word in the book of Micah "is almost always used concerning the bite of a serpent, who not so much through gnawing, rather harms with venom. And it is suitably adapted from this account [of Micah]. For the bite of the serpent does not immediately tear and mutilate limbs, but he poisons with his venom, which gradually and slowly wastes away." St. Chrysostom confirms this in his Homilies on the Gospel of Saint Matthew in Chapter 5: "one having been bitten by an asp snake advances sleeplessly just as if he was charmed, and through that charm he expires into a deep sleep, because the venom secretly coursed through his every member." What an excellent description by Dr. Martins about how pervasive bad theology is in the church. Thanks for sharing this, Mr. Lindee! It seems that Blogger has been experiencing some technical difficulties for the last few days. We have lost comments that some have posted. We'll do what we can to repost these comments.